Never thought myself as much of a bread maker but somehow my husband convinced me to buy a bread machine a year and a half ago and we haven’t bought bread from a store since. 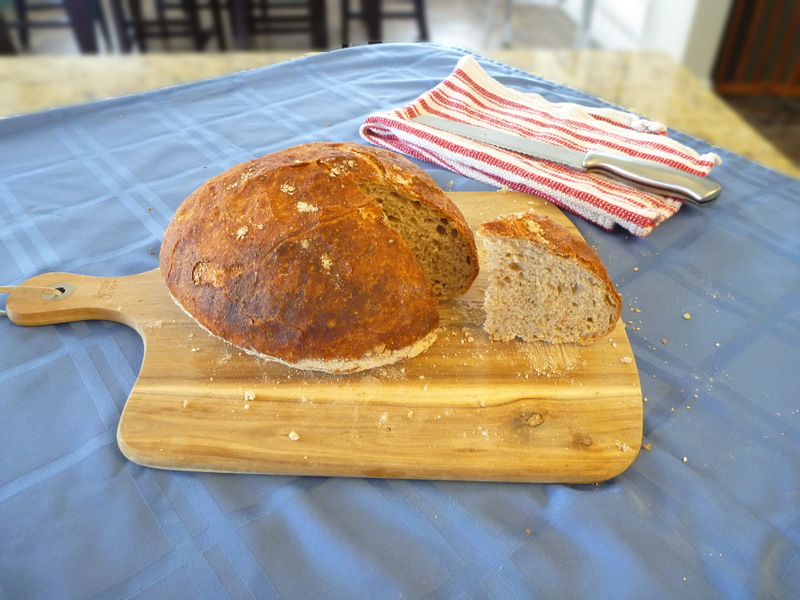 I loved our bread machine and couldn’t believe how easy it was to make our own bread. I would simply dump all the ingredients in the tray, set the timer and voila! Freshly baked bread was waiting for us when we would wake up in the morning! 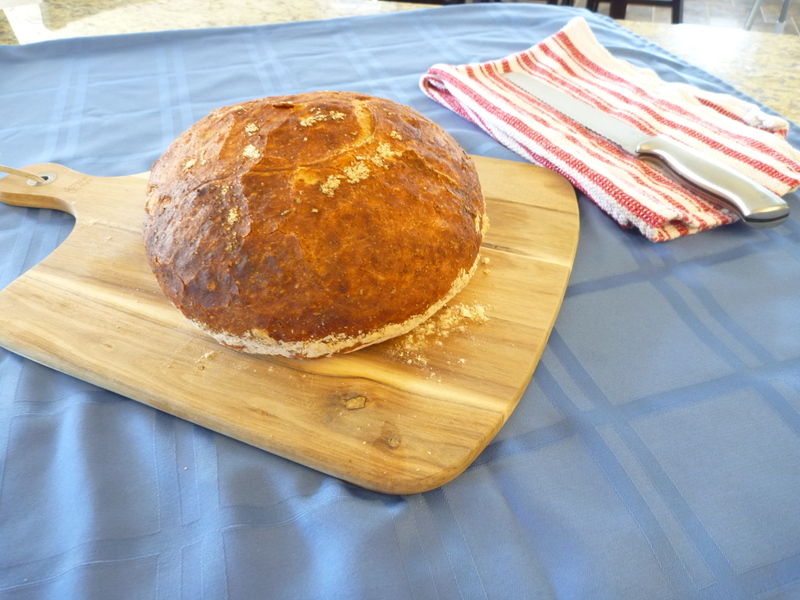 As wonderful as it was to have our trusty bread machine do all the work, I soon got curious about making bread by hand. I played around with a few different recipes and even created my own sourdough starter to make sourdough breads, amongst other sourdough goodies. I quickly fell in love with bread-making by hand. There’s just something special about the process of taking simple ingredients, creating a wondrous, living dough, attending to it with much love and care before transforming it into a beautiful loaf of fresh, warm bread. I was hooked! Having said that, making a loaf of bread, though not a laborious process, is quite time-consuming. It usually takes me the whole day to make bread, and requires that I keep an eye on the dough during each step to ensure proper proofing of the dough. As my schedule becomes more and more active, I’ve been finding it harder and harder to make bread by hand. That is, until I discovered recipes for no-knead breads! Flour a clean work surface. Using a plastic scraper, gently scrape the dough onto your floured work space. Remove from the oven and let cool on a wire rack for 1 – 2 hours. You should be able to hear wonderful, crackling sounds of the crust while cooling. Note: The stretch and fold technique shown in the link used an oiled surface rather than a floured surface. Apart from this difference, the method is the same. Also, the dough is quite wet and it may be a bit difficult to transfer from the proofing basket/mixing bowl to the dutch oven/La cloche. One trick I do, is to place a baking sheet lined with a piece of parchment paper on top of the proofing basket and then tip the basket upside down – the dough should fall onto the baking sheeting lined with parchment paper. I would then pick up the edges of the parchment paper and transfer the dough into my La cloche. Next postPositive mind, healing body.